This is our current cohort at the Maili Self Help Housing Corporation project. 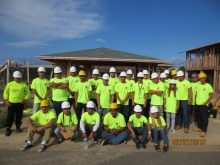 They are assisting families who are building their own homes. 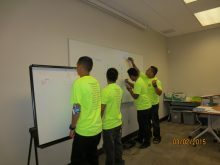 Our group received training in construction at the Building Industry Association. It is a nine week Pre-Apprenticeship course. 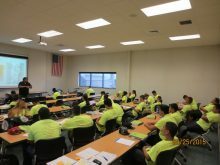 They are receiving Home Builders Institute completion certificate, First Aid and CPR and OSHA 10 certification.